Construction lines, detail environment, & end snap. Task 15. Construction lines, detail environment, & end snap. To align views it is necessary to draw some construction lines in the detail environment. Refer to Fig TSK 15. Ensure that none of the Mviews are active because it's not possible to draw the 2 lines with an active Mview. Fig Tsk 15. 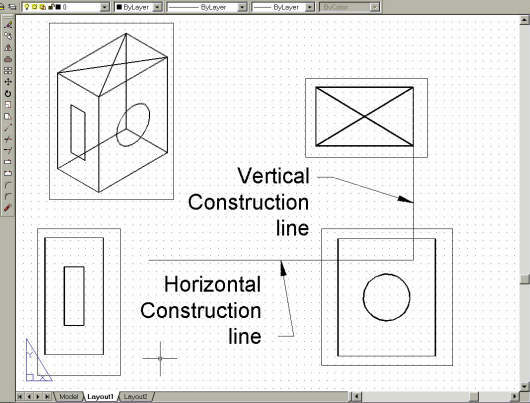 Construction lines for view alignment.